Female voice: Seung Gi is a generous person. Why? Seung Gi: Because they give double the amount of toppings. A generous amount of 7 best selling toppings whole! Filled with refreshing Cranberry Nut Cream Cheese and sweet Apple cinnamon at the tip of the star shaped crust! Female voice: Double the amount of toppings! Seung Gi: Topping King! Wow! There’s no end to the toppings! Ending caption: Get a large for the price of a medium! Categories: CF, Pizza Hut, translation, Video | Tags: 30sec, CF, Pizza Hut, Topping Star Edge, video | Permalink. Female voice: Seung Gi is a generous person. Seung Gi: Because they give double the amount of toppings. 7 types of toppings. Whole! Filled with Apple cinnamon and Cranberry Nut Cream Cheese! Seung Gi: Topping King! Mmmm!! *Just in case you’re curious, the 7 types of toppings are: Whole Bacon, Apple Cinnamon, Homemade Sausage, Shrimp, Cranberry Nut Cream Cheese, Beef Steak, and Squid. Categories: CF, Pizza Hut, translation, Video | Tags: 15sec, 20sec, 30sec, CF, Pizza Hut, translation, videos | Permalink. Categories: CF, GIFS, Pizza Hut | Tags: CF, GIFS, Pizza Hut, Star Topping Edge | Permalink. 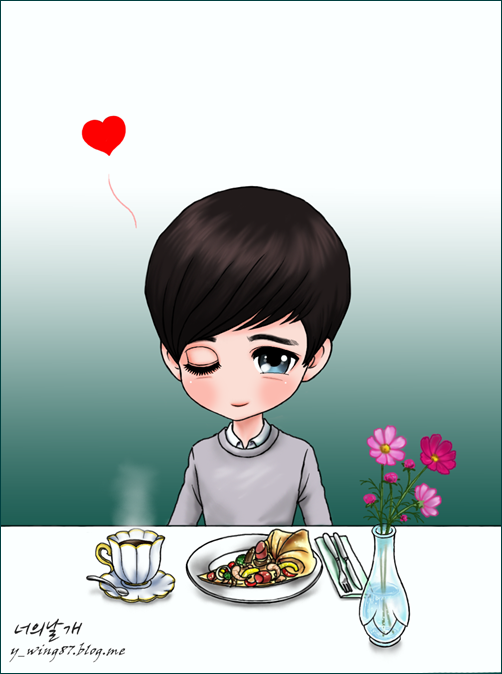 Categories: CF, Fan Art, Pizza Hut | Tags: Caricature, CF, fan art, Pizza Hut, ywing | Permalink. Categories: CF, Fan Art, Pizza Hut | Tags: CF, fan art, 쁘띠 띠아블, Pizza Hut | Permalink. Categories: CF, Fan Art, GIFS, Pizza Hut | Tags: CF, fan art, Pizza Hut, y_wing | Permalink. Categories: CF, Pizza Hut, translation, Video | Tags: CF, HD, Pizza Hut, Star Topping Edge, translation, video | Permalink.